Do you need a few moments to yourself? Do you need to get some exercise? Do you need a creative outlet? Have you asked for this in prayer, yet? Do you seek life giving friendships? Do you seek meaningful work? Do you seek to be in your vocation? Do you seek an adventure? Have you sought this in prayer, yet? Do you feel stationary in prayer? Do you feel bogged down in your work? Do you feel trapped in pain? Are you tired of waiting for a change? Have you approached this in prayer, yet? “To the one who knocks, the door will be opened” (Luke 11:9-10). Dear sisters, our heavenly Father has His good gift of the Spirit for you today. Tomorrow. Forever. If you find yourself weary in the waiting, it’s okay. Bring that to your prayer, too. He is with you in the wait. During the Mass, the priest prays this prayer after the Our Father: “We wait the blessed hope and the coming of our Savior Jesus Christ.” Sisters, the Good News is that you do not have to wait alone. We can unite our thoughts, feelings, and desires with Jesus and offer them to the Father, especially in the Holy Sacrifice of the Mass. The entire mystical body is united together in prayer. And you are not alone! The Church is asking with you. The Church is seeking with you. The Church is knocking with you. Let’s pause for a moment today to look closely into our hearts. Are there places where I have given up? Have I simply stopped asking for God to provide? May our Father grant you persistence in prayer and encouragement through the Mystical Body of Christ. Next Post When Did You Learn to Ride Your Bike? Wow, Rose! Your words are so beautiful. Thank you for sharing them. 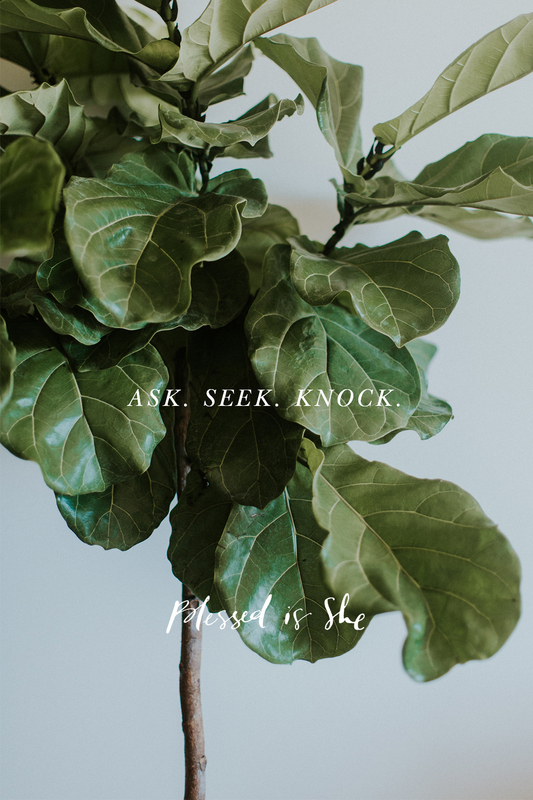 God invite us to knock and to ask. No, God does not invite us to do this–Jesus TELLS us to do this. It is a command. He tells us to knock and to ask, then He tells us that what we ask for will be given to us. He tells us to be persistent, as the neighbor is persistent. God already knows what we need and what we want. He places desires in our hearts. He wants for us to ask Him for what we want, to come to Him and seek Him out. May we ask, seek, and find what God wants for us to live the lives He wants for us to live, in peace and in communion with Him. Yes, I find myself weary in the waiting. I sometimes think I’m waiting for something that will never happen(and perhaps that is so). I know He is with me; maybe He even grows weary of waiting for me to figure out my part, or learn what He’s trying to teach me in this waiting? This reading and your words are a blessing to me today; a reminder to be persistent and to trust in God’s provision. We should never despair. Jesus, I trust in you. I’m going to save this list of questions as a guide for a part of my daily examen. Thank you so much.